As a family-run store, Florist with Flowers ensures that each and every interaction we have with our customers furthers our reputation as a thoughtful, community-minded business. We treat our customers and our community with the utmost professionalism, care, and respect. To that end, we source our flowers from local suppliers whenever possible and ensure that we are offering the freshest blooms available. We're dedicated to providing high-quality flowers, arrangements, and unique gift ideas not only online but in our charming shop front as well! We are passionate about providing fantastic customer service and ensuring that our clients receive the benefits of our years of experience. Co-owner Emmra Aydin joined the florist industry in 1994, working in distribution. As his career progressed, he developed relationships with growers and began to learn the ins and outs of floristry and the business. While distributing flowers, Emmra met Julie, now his wife and co-owner of Florist with Flowers. Julie has been working in the industry since 1991, starting as a Junior, and then managing a store before landing a wonderful job at a large florist, where she rose to Operations Manager. In April 2011, Julie and Emmra took over what is now Florist with Flowers. They're delighted to be working together to provide the highest quality flowers to the community. Their main priority is to have a business they can be proud of and that always keeps customers and clients satisfied! They're constantly looking for new ideas, styles, colours, and containers to create wonderful flower arrangements for all customers and all occasions, so the next time you're in the area, stop in and say hi or just browse through the beautiful selections. Someone is always around to discuss any of your needs, whether in person or over the phone. 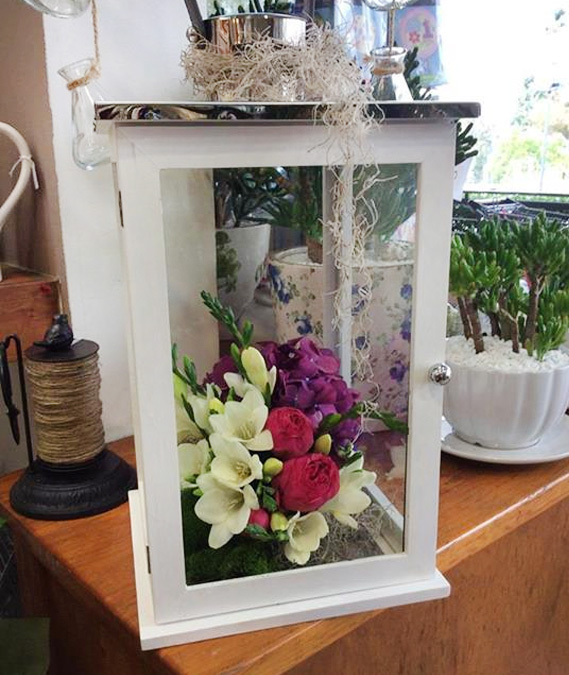 The Florist with Flowers team is more than happy to talk to you and help you find the most suitable floral option for your particular occasion.